I was in Charlotte earlier this week to see one of the projects created with the help of last year’s innovation funding from the Local Government Federal Credit Union. 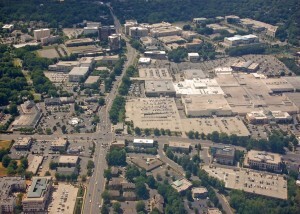 Many local governments are facing pressures to transition from existing suburban development (like large shopping malls and strip malls) to more urban development (adding density, mixing uses, and decreasing reliance on cars). A combination of pressures is driving this reshaping of suburbia, including population growth and market preferences. Adam Lovelady’s proposed innovation project was to create a one-day Solutions Forum where local government officials would come together to learn about these issues—from us and from one another—and learn to address them in practical terms. There will be another one in Raleigh later this month. Adam’s first Solutions Forum was held in South Park, an area of Charlotte that is facing many of these suburban redevelopment pressures. There were small teams of people from nine different North Carolina municipalities—ranging from Charlotte and Asheville to Belmont and Huntersville. The team members included a mix of planners, development directors, city engineers, transportation planners, town managers, city attorneys, and others in different roles who are involved in this work. The participating communities had experienced an overall population growth of 8.6% from 2010 to 2014. The stage for the day was set with some regional examples of redevelopment in North Carolina. Ken Bowers, Raleigh’s Planning Director, talked about the remarkable transformation that has occurred at North Hills Mall and Cameron Village. Dwight Bassett, Economic Development Director for Chapel Hill, talked about work that is happening in several areas—including Eastgate Shopping Center, Rams Plaza, and Fordham Boulevard. These were rich presentations that touched on many of the real-world issues and challenges when it comes to major suburban redevelopment projects. Adam had assigned the participants to sit in small, mixed groups with folks from different jurisdictions. He then used guided discussions where each group reflected on their own local experiences with suburban redevelopment. It was an effective way for them to draw on the information from the earlier presentations and learn from one another about their similarities, differences, and various lessons learned. Each group reported out on their discussions. In a jam-packed morning, the groups also heard from two experienced developers about their experiences with suburban redevelopment—including their interactions with local officials. Dave Owens did a nice job moderating a fascinating session. Adam closed the morning by sharing lessons learned from three redevelopment projects in other states. 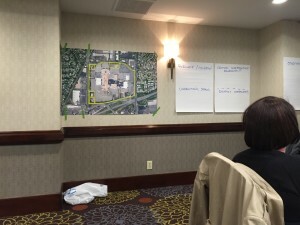 All of this background information was a prelude to asking the small groups to spend nearly two hours in the afternoon creating their own proposed redevelopment plans from a carefully constructed case study. Before the groups started, however, they needed a quick overview of the law governing zoning options, public financing tools, and the use of public money for private development. Adam, Kara Millonzi, and Tyler Mulligan made presentations on each of those topics using a technique called PechaKucha, which involves using 20 slides for 20 seconds each—they automatically advance. Our colleagues did a great job, and I thought the technique was perfect for giving the participants a quick (and I mean quick) overview of the legal issues they might confront in the case study. All of our folks were available for expert advice to the groups. The small groups really engaged with the case study. That is a compliment to Adam, who obviously invested lots of thought and time in developing a case that was realistic. It was a nice idea to have people from different jurisdictions working together on the case because they learned so much from everyone’s different experiences—which was a goal of the forum. The participants learned some things from us, they learned some things from the outside speakers, they learned from one another, and Adam learned a lot from them. Part of his preparation for the Forum involved extensive research about the topic, including the experiences of other states. In addition to informing the work of the Forum, Adam has prepared a major report on issues around suburban redevelopment that will become a publication. He is using Google Docs so that the participants in both Solutions Forums can read it and offer suggestions based on their own knowledge and experience–including their experience in each Forum. I’m also convinced that his publication will be improved based on the things Adam learned from the small groups as they worked through the case study. From my perspective the Forum accomplished the original goals from the innovation proposal—(1) original background research on an emerging policy issue from a national perspective, (2) advanced training for North Carolina planning officials, and (3) direct collaboration between School faculty and local officials in working through that policy issue. 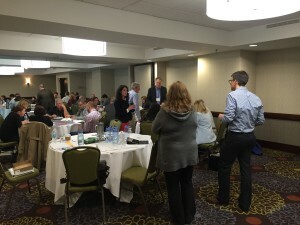 Adam managed to create a learning community in which there was lots of expertise and experience in the room, and where everyone was helping to advance our collective knowledge about this complex issue facing many local governments. Everyone had something to contribute, and I’m sure that Adam will capture the learning in his final report and publication. It was impressive to me how engaged the group was throughout the day, and they clearly were grateful for this special opportunity from the School. Thanks to the funding from LGFCU there was no registration fee for the event. Adam was the driving force behind this Forum, but this also was an example where our culture of collaboration was on display. Dave Owens participated in meaningful ways at the Forum, and he advised Adam throughout the planning. In addition to working with Adam before the event, it was impressive that Kara and Tyler were willing to travel to Charlotte and contribute short but important presentations—six minutes and forty seconds to be precise. Dan Soileau made wonderful large-scale maps for the case study, and along with Nancy Dooley produced the report in record time. 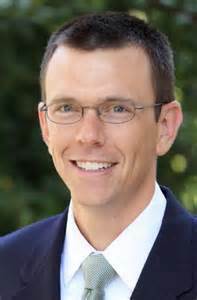 Rob Moore worked on a pre-forum survey and Matt McKirahan helped with the marketing effort. As with so many of the innovation projects, Kelley O’Brien was important in helping to make it happen. And Lisa Sheffield was on site effectively managing the logistics for a new kind of event with lots of moving parts, and in a hotel where we had no prior experience. I suspect that others at the School were involved too. As with nearly everything we do, it was an impressive team effort. I’m always happy when we try new things, and it is worthwhile even if we fall short of our goals. It is wonderful, as was the case with the Solutions Forum, when it is successful. Kudos to Adam for his willingness to move out of his comfort zone and try something innovative that had such positive real impact on the participants.